The alarms were going off. Literally. 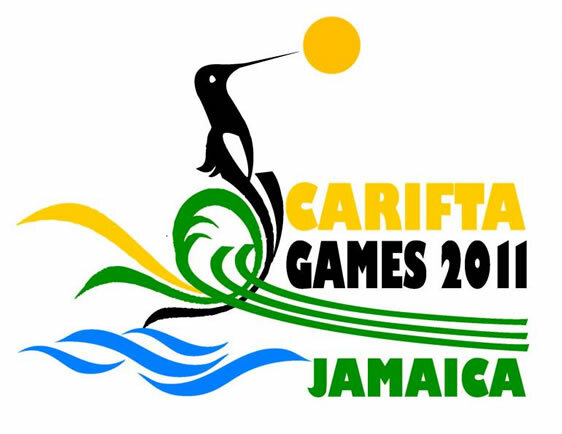 Beneath overcast skies at the Catherine Hall Sports Complex in Montego Bay, Jamaica, someone was setting off the fire alarm in the middle of the third and final day (25) of the 40th CARIFTA Games. To the host nation, it might have been a warning on their sprint fortunes, as they got just a single title between the eight individual races in the 100m and 200m series. The largest crowd of the three days came to witness the coronation of their champs, and they got that, but in an unusual manner, with 13 field events titles, especially amongst the girls. One of the interesting things about the weekend meet was the degree of competitiveness. There is no question who the number one nation is in Caribbean athletics. The Jamaica brand is a powerful one at all levels of the sport, and no less so at the CARIFTA Games, the region’s festival of junior track and field. But this iteration featured a spirited battle for second place, with Bahamas, Trinidad & Tobago and, in a pleasant reversal from recent fortunes, Barbados battling it out and taking turns occupying the penultimate spot in the medal table. After watching Bahamas win three of the four individual 100m races, Jamaica would have been eager for revenge in the 200m series. But Carmiesha Cox of The Bahamas fulfilled her billing by winning the under-17 girls 200m dash in 23.96, over Jamaica’s Jonielle Smith. Then Trinidad & Tobago’s Machel Cedenio completed the 200m-400m double, running 21.43 and capitalising on a misstep by Jamaica’s Jevaughn Minzie. Minzie, in the lead coming down the straight, began celebrating some 40m from the finish, only to be overtaken by his Trinidadian rival, and of course earning the ire of the home crowd. Anthonique Strachan came into the final day of the meet with an under-20 women’s 100m gold medal and a share of the 200m Games record, 22.93 with Jamaican legend Veronica Campbell-Brown. The young Bahamian was also facing the very tough test of talented 17-year-old Jamaican Shericka Jackson. In the final, Strachan could manage “only” 23.06, but it was enough to beat Jackson ((23.85). Her double sprint wins and meet record were enough to earn the petite Bahamian, coached by Dianne Woodside, the Austin Sealy Award as the meet’s most outstanding athlete. Delano Williams got the second gold medal for Turks & Caicos when he captured the under-20 men’s half-lap race in 21.04. The 18-year-old narrowly beat Trinidad & Tobago’s Moriba Morain (21.05) and Jamaica’s Odail Smith (21.08) who is eligible to represent Jamaica in the World Youth Championships at the age of 17. Barbados had top-ranked athletes in two of the four 800m races, but designs on three of the two-lap runs. They got things started with a close win for Cindy Forde, who chased down Alethia McLaughlin to win in 2:14.66, breaking the plane less than two tenths of a second ahead of the Jamaican. After winning gold last year, Jerrad Mason’s goal in Montego Bay was to get a record, his aim at the 1:53.72 Jamaica’s Theon O’Connor set in 2005. And running virtually by himself, Mason lowered the mark by nearly two seconds, his 1:51.79 performance highlighting an incident-filled race. At the upcoming World Youth Championships in Lille, France, Mason will be running against the likes of Trinidad & Tobago’s Mark London, who is 17. But at CARIFTA, London was in the under-20 men’s division, where he ended third behind repeat champion Anthonio Mascoll of Barbados (1:50.21) and repeat silver medallist Shaquille Dill of Bermuda. Only in the under-20 women’s division did Barbados’ Sonia Gaskin miss her mark. Jamaica’s 1500m champion Shantal Duncan fell 200 metres into the race, but her teammate Simoya Campbell upheld the hometown honour, winning in 2:08.77 over Gaskin. Field events records went down on each day of these championships, and on the third day no less so. Last year, Trinidad & Tobago’s Quincy Wilson lost his under-20 Discus Throw title and Games record to Jamaica’s Chad Wright. This time, Quincy was watching from afar as another Jamaican, Ashinia Miller, broke another of his CARIFTA marks. Miller pushed the metal ball out to 19.47m, improving on Quincy’s 18.67m from last year by 80cm. In second place on this occasion was fellow countryman and new Discus Throw record-holder, Travis Smikle, with Trinidad & Tobago’s Akeem Stewart third. Gleneve Grange completed a remarkable weekend by winning under-17 girls Discus Throw. The Javelin and Discus Throw champion in her age group as well as a women’s open Pentathlon bronze medallist already on Saturday and Sunday, Grange threw 40.98m to win Discus Throw for a Jamaica. 1-2 with Paul Ann Gayle Shervorne Worrell threw 46.60m to win the under-17 boys title for a Trinidad & Tobago 1-2 with Kenejah Williams. The under-20 women’s Javelin Throw was won by Alexie Alais, whose 47.24m enabled her to take gold back to French Guyana. Little Yannis David turned in a remarkable performance to win under-17 girls Triple Jump. She will not turn 14 until later this year, but the girl from Guadeloupe handles one of the most technical events in athletics with aplomb, hopping, stepping and jumping her way to 11.78m and a gold medal. Jamaica’s Shardia Lawrence recorded the same best distance, but David recorded that mark twice in her series. Trinidad & Tobago’s Elton Walcott completed the under-20 men’s Triple Jump trifecta, 15.98m good enough to see him past World Youth qualifier Lathone Minns of Bahamas. Petergaye Reid of Jamaica won the under-20 women’s High Jump with a height of 1.78m, whilst Thea Lafond from the Commonwealth of Dominica went over on her second attempt at 1.75m, and St Lucia’s Jeannelle Scheper cleared 1.70m for bronze. Trae Carey won the under-17 boys Long Jump with a mark of 7.01m for Bahamas, with Bermuda’s Degrilla Jr not far off the pace at 6.94m for silver. Yanique Thompson won the 100m Hurdles under-17 girls in 13.76, Shakera Hall’s 13.82 just breaking up the Jamaican duo that included third-placed Peta Gaye Williams. Another Jamaican, 17-year-old Chrisdale McCarthy, ran 13.97 and just held off Barbados’ Sade Mariah Greenidge in the under-20 women’s race. With Barbados’ Dario Scantlebury opting out of the 110m Hurdles under-17 boys, Guadeloupe’s Wilhem Belocian won in 13.75 over Jamaica’s Tyler Mason. In the under-20 men’s division, Stefan Fenell turned in a run of 13.79 to win for Jamaica. Matthew Wright, a 5000m bronze medallist two years ago in St Lucia, and a 1500m champion this year, took an early lead in the men’s 5K. The young man who is currently studying in the United Kingdom after graduating from Barbados’ Queens College may not have reckoned with the staying power of Jamaica’s Khari Bowen, though. Khari, himself living in the United States, took over the race just less than halfway through, and with his home crowd cheering him on, he ran 15:07.58 to beat Wright by over 20 seconds. Wright, though, had enough of a kick to overtake another Jamaican, Orane Wint, into third. Jamaica led their under-17 girls 4x400m Relay with the athletes who had finished first and second in the flat 400m. They then turned it over to the girls who had finished first and second in the 300m Hurdles. It was therefore virtually a fait accompli when they crossed the line in 3:41.33, nearly three seconds ahead of Barbados. Aside from Jevaugn Minzie on the second leg, the boys had not had as much individual success, but their strength in depth gave them a split-second win over Trinidad & Tobago, 3:15.19 to 3:15.35. The women’s 4x400m relay held little surprise. Jamaica’s current foursome, fabulous though they indubitably are, is probably not even the strongest quartet the Land of Wood and Water could deploy. But the talents of Olivia James, Janieve Russell, Simoya Campbell and Chris Ann Gordon were sufficient to run their team to 3:31.47, beating Trinidad & Tobago by over eight seconds and eclipsing the mark of 3:31.90 established in 2006 by the team of Sherene Pinnock, Kaliese Spencer, Bobby-Gaye Wilkins and Sonita Sutherland. The Jamaicans had expressed their concern about Trinidad & Tobago in the men’s 4x400m, and the foursome of Jareem Richards, Hendrix Foncette, Deon Lendore and Darvin Sandy did indeed best their Jamaican counterparts. Unfortunately, the Bahamas team, which carried the baton across the line first, was disqualified for lane infractions. With notification of the infraction having been conveyed to the Bahamas camp just before the intended start of the medal ceremony, it was a disappointing way to end three days of excellent competition. Jamaica ended up 66 medals, six fewer than they captured last year in the Cayman Islands, with four fewer titles. Trinidad & Tobago finally ended up in second with 33 medals, down 40 in 2010, though with the same 12 gold. Barbados got 10 more medals than they did in George Town, their total of 28 including nine gold, eight silver and 11 bronze. The Bahamas improved from last year as well, with one more title and two more medals overall for a total of 31. A total of 18 territories came away from these Games with at least one medal; 17 did so last year.